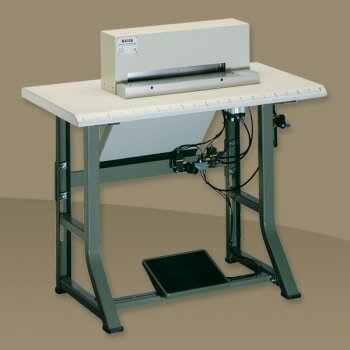 The automatic MCD unit, complete with sewing machine, is made for sewing the fronts of shirts. It distinguishes itself for ease of use and the quality of the final product. During sewing phase, a suction system aligns the fabric for a perfect stitching. Then, the fabric passes under a heated puller to eliminate wrinkles in the front strip. The machine is equipped with automatic thread cutting and stacking; sewing and conveying speed are adjusted electronically. The stitch length can vary from a minimum of 0.8 to a maximum of 30 mm, the sewn stitches are counted electronically using a PLC system.